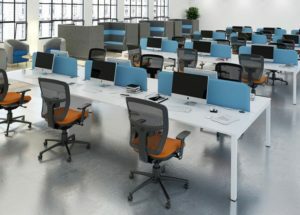 At CDF, we are passionate about sourcing the highest quality modern office furniture and offering a personal service that is second to none whether buying a single chair to a full office refit. Since our foundation, we have worked hard to build strong relationships with all the leading manufacturers, allowing us to combine their expertise and experience with our own to pass onto our clients. Office furniture should never be an afterthought. By carefully choosing the right furniture and accessories for your office, you can create a positive environment in which your staff can be comfortable, happy, and productive. Choosing the right desks, chairs and accessories can be a daunting task. We do not believe in the hard sell, and our friendly staff offer free consultations to ensure that you make the right choices for your office. Where possible, we offer a free site visit to discuss your requirements and suggest a variety of suitable layouts all free of charge. Not only do we stock a massive range of stylish and well made office furniture, we also offer a full office refurbishment service, including design work and space planning, and implementation. Our experienced team will ensure that your office refurbishment is completed to your specifications, on budget, on time, and with the minimum of disruption. As experienced professionals, we know how daunting it can be to plan a new office space, or an existing office refurbishment while still maintaining the productivity of your workforce. If you are planning a change to your working environment, come and speak to us for a commitment-free expert consultation. Whether you need to modernise your office furniture or you require a full office refit, CDF can help you. 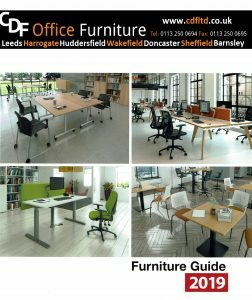 Please call us on 0113 2500 694 for further information on any of our ranges or for free advice on refurbishing your office and free space planning.